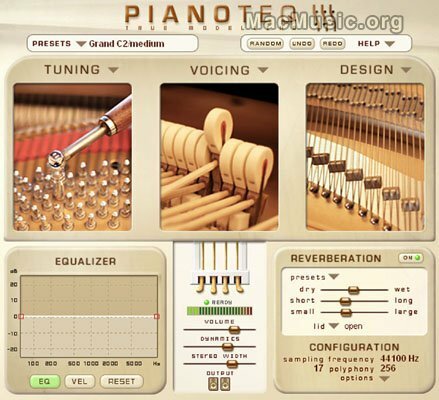 Modartt has releases its latest add-on, free for all Pïanoteq users : a CP-80, famous electro-acoustic piano, heard on numerous recordings of the 70's-80's (from Tony Banks to Tania Maria). First, the "CP-80 original", which is an attempt to be as close as possible to the original recorded instrument. Second, the "CP-80 restored", which is an attempt to provide a 'virtual' restoration of the instrument renewing particularly the wounded strings which lacked the brilliance from brand new strings. The 2.2.1 update is also available, which offers a 'flat' temperament that supports tuning of certain synthesizers with octaves having exact ratio 2.